While most people would wince at the idea of doing a 10km race or a half marathon, Dubai resident Marcus Smith has taken things to a different level, by running 30 marathons in 30 days during the Dubai Fitness Challenge. An ambassador for the month-long fitness movement in the Emirates, which started on October 26 and ends on November 24, Smith has already completed 14 of his 30 marathons. The 39-year-old starts his run every morning from his home in Satwa at 5am and jogs up Jumeirah Road towards Kite Beach. The route generally changes each day but Smith invites people to join him and they can monitor his location on a live tracker on Instagram. 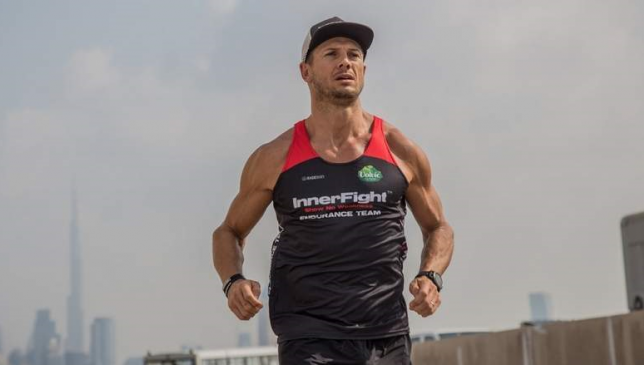 A former rugby player with Dubai Exiles and the Arabian Gulf, Smith retired from the sport eight years ago and now competes in CrossFit, running and extreme endurance events. He also owns InnerFight Gym in Al Quoz and Smith St Paleo with his wife Holly. The Briton has completed an array of gruelling challenges over the years, including multiple marathons and ultra-marathons. In April 2015, he ran 250km across the Sahara Desert in the self-supported Marathon Des Sables. He has also ran 50km in 50-degree heat – twice. Smith grew up in the UAE in a family steeped in fitness. “We are a product of our own environment. When I was growing up my mum was running, my dad was doing triathlons, cycling and running. I was always interested in it,” he said. “I played every sport I could. I was in boarding school for ten years in the UK. I’ve ran since I was in school for my county for a number of years. The funny thing is that I’m not built to be a runner. I’m heavy for a runner. I’m 90kg. But I just enjoy it. “That’s one of the things that’s got a little bit lost in sport these days. People doing stuff that they don’t enjoy,” he said. 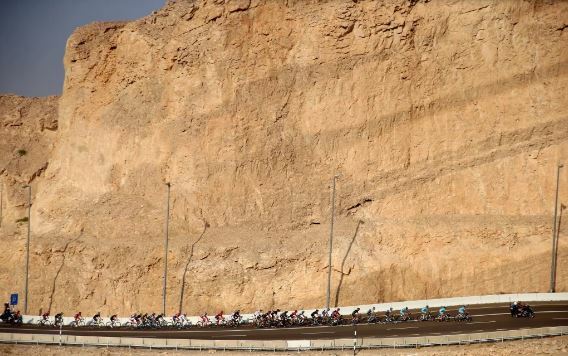 In February, Smith was hit by a truck on the Sharjah-Kalba road while training for an ultra-cycle world record and left with seven broken ribs, a broken scapula and a collapsed lung. After months of rehab and recovery, he’s been running nearly 200km per week to condition himself to be in the best possible shape for upcoming races. “I’ve been doing a lot of running since the accident. We ran across Corsica in July which was 195km with 13,500 metres of vertical climbing. I hadn’t finalised the idea by then but I just continued to run for a bit,” he said. “I train two to three hours a day generally. The most important thing and one of the components that people miss is strength work. I do it four to five times a week at InnerFight. The great thing about the challenge is that people from all walks of life have come down each morning to run 5km, 10km, 20km and even the full 42.2km marathon distance to support Smith and the Dubai Fitness Challenge. 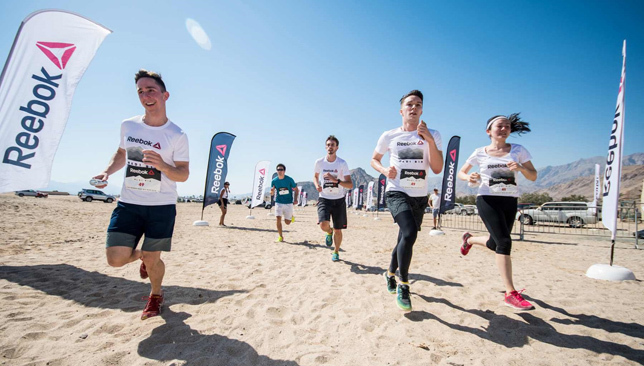 Last week saw the launch of the annual Dubai Fitness Challenge – thirty days of getting active for thirty minutes. 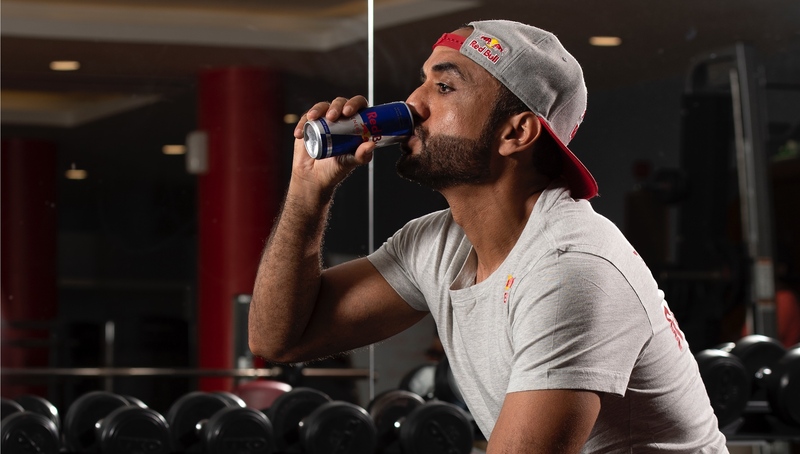 Throughout the event Sport360 is talking to Red Bull athletes who are getting involved in the initiative, this week is motocross rider Mohammed Al Balooshi. I get involved in the Dubai Fitness Challenge every year. I’ve filmed some footage which will be put out on social media to encourage people to join in. I’ve picked out some of my favourite exercises that anyone can do – rowing, running and gym work are what I’m encouraging people to get involved in. They’re fun activities that you can either do on your own on or with a group. Plus, you can really burn some calories with these workouts in only 30 minutes. I’ve seen the 30×30 grow over the years and it’s a trend I think everyone should follow. If I wasn’t an athlete I would still be doing something active because when I’m injured I gain a lot of weight, we’re talking up to 10kgs so I need to keep busy to stay in shape. It also gives you confidence; if you go to the gym often you feel like you’re standing out and you’re in control. I think motivation is the wrong word, some people find an excuse to work out and others find and excuse not to. That might sound harsh but it’s simple, you can get off the couch and do some exercise. I’m lucky that for me it’s part of the job to stay fit but even if it wasn’t I would be in the gym working out. I’m not saying it’s easy, but thirty minutes is not a lot. When I go cycling there are a lot of times I don’t want to do it, staying home and eating was a better idea in my mind but I knew I would feel good once I do it. If I miss a workout I get filled with negative energy and I don’t like that. Drinking Red Bull gives me energy to get active if I need a boost. I would say to anyone just try and start somewhere and the 30×30 is a great way to get involved and there’s no doubt you will feel better once you’ve done it. Personally I prefer to exercise in the morning and I think it’s better for your body and mind if you start early – it sets up your day. You don’t need to do what everyone else is doing, set yourself a goal and try and reach it, then increase it and beat that. The goals don’t need to be big either, hitting small targets constantly will show improvements and give you more confidence to keep going. Are you competing in any fitness events in November? Here’s our top seven to get involved in! Tri Fest returns to Jebel Ali, with a host of challenging races, including the Olympic Triathlon, Sprint Triathlon, Super Sprint Team Triathlon and the fifth Dubai International Triathlon – complete with a new distance. 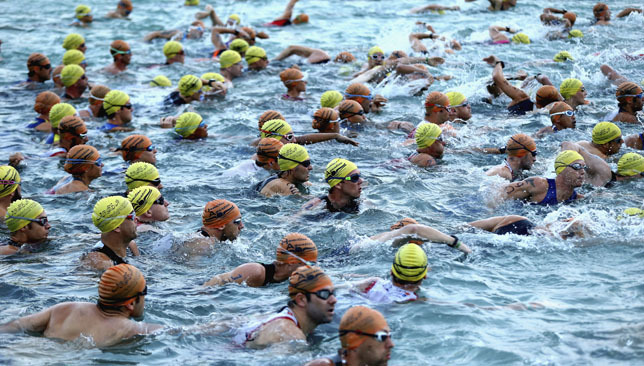 Taking place at Jebel Ali, the event will feature a 1.5 kilometre swim followed by a 80 mile bike ride and a 10km run. If you are looking to push the boundaries and challenge yourself physically, the Dubai International Triathlon is the best way to achieve your fitness goals. 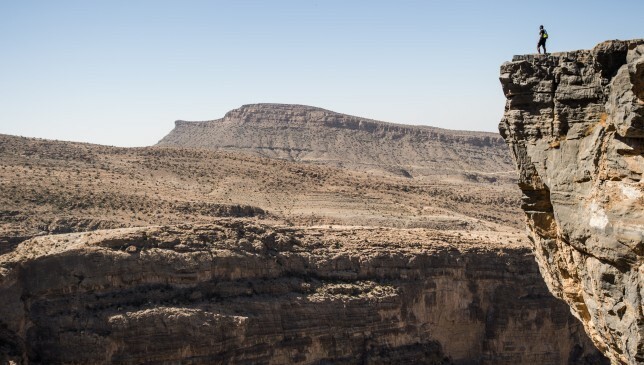 Runners will scale 1,240 metres to climb to the top of the UAE’s highest peak (12.5kms in total). The race, which begins at 6AM, starts at Green Mubazarrah Park – situated at the base of the mountain – and runs up Jebel Hafeet Road and all the way to the summit. Water stations will be available every 2kms as riders cycle on the hard shoulder of the winding road. Shuttles transport participants to and from the starting and finishing points, with a post-race presentation being held at the Mercure Hotel. With final preparations to the 137km course now complete, a cast of 455 registered local, regional and international runners are set to cross the spectacular non-stop challenge start line. 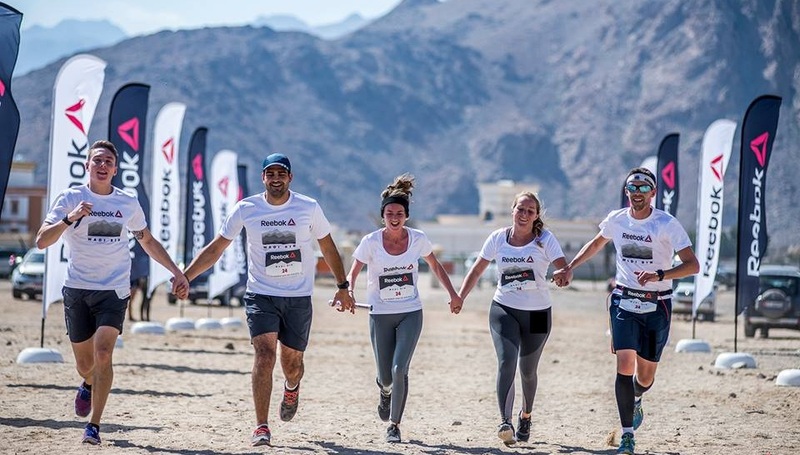 Starting and finishing in the northern emirate of Ras Al Khaimah, the incredible Urban-Ultra UTX50 ultra-trail run adventure takes you into the wilderness of the United Arab Emirates. The fully supported single-stage race will see you transcend through 50km of rocky mountain terrain and over the spectacular sand dunes of the Emirate. This is a race not to be missed and one of the most eagerly anticipated events of the year.